What Does AC Repair Cost Depend On? If your AC is in urgent need of repair, you’ll want the whole ordeal to be over as quickly and efficiently as possible. However, there are many things that might prolong the process further and many factors to consider. Sure, you can try troubleshooting the AC first, as the problem could be simple enough, such as filters that ought to be replaced. But if you fail to pinpoint the culprit behind a non-functional AC by yourself, you’ll have to choose to whom to delegate the task of eliminating the issue. Finally, you’re going to have to wait for the issue to be detected. Only then does the repair process start. Unless your AC happens to be so considerate as to break down during the so-called shoulder season, there’s a waiting period. 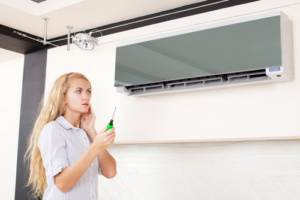 Many people are in the exact same situation as you are and there are only so many reliable contractors specializing in air conditioner repair in Scottsdale, AZ. You can’t always expect the contractor to make repairing your AC a priority. 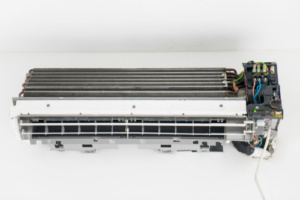 Last but not least, the repair could be very expensive, in which case an alternative might be a better solution, as any decent AC contractor will tell you. Here’s what the cost of AC repair could depend on. How much does it cost to repair an air conditioning leak? We hardly ever consider replacing the system with a new, energy-efficient model until it breaks down. When that happens, we are never sure what the best course of action is: repair or replace. One such issue is an air conditioning leak. An air conditioning leak is no laughing matter, and neither is the price of its repair. In fact, you’re in for a shocker, since the price is a combination of the cost of repairing the leak and the cost of recharging the refrigerant. Without the refrigerant, the whole system is rendered useless. If the system is new, you have no choice, but that’s not always the case. What if you have an older AC system? It all depends on the type of refrigerant your AC system uses. Well, if you thought that topping off the system with refrigerant would cost you less because you have an older AC system which uses R-22 refrigerant, you’re wrong. The R-410A refrigerant which is also better for the environment can be recharged at almost half the price of recharging R-22. Not only is R-22 used for older systems (mostly those installed prior to 2010) which are still widely used, but also being phased out in the US. In other words, the demand has gone up and the supply has plummeted, making R-22 pretty expensive to recharge. Combined with repairing the leak, it could cost you from a few hundred to up to a thousand dollars to repair the damage. In that case, a replacement might be a better call. How much does it usually cost to repair air conditioning in summer? Summer is most likely the time of year when you want to stay indoors as much as possible and exploring the Sonoran Desert, as adventurous as it may be, is the last thing on your mind. But what if your AC happens to break down in the middle of the summer? Unfortunately for homeowners, summer is also the busiest time of year for AC contractors. This is understandable, since summer is the time when people need air conditioning the most. This means you’ll have to get in line and wait for your turn. It also means you might have to spend more money on the repair than you anticipated as higher demand causes the service price to go up. The precise cost cannot be predicted, as it depends largely on the complexity of the issue and the part that needs to be fixed or replaced. How much is air conditioning repair in the winter? Wintertime is the time of year when we tend to spend a lot of time indoors, regardless of where we live. After all, when we think about winter, we think about the holiday season and a drop in temperature. Although less noticeable in Arizona than it is in most other parts of the country, especially in the daytime, there is a significant drop in temperature in the winter months. On occasion, the temperature even goes below freezing. In other words, although summer remains the worst possible time for an AC repair in Arizona, bear in mind that people might use the AC system for heating instead of cooling in the winter. This, in turn, causes higher demand for servicing and repair services, which leads to higher prices of such services. 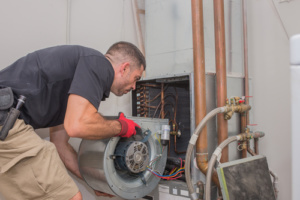 All in all, whether you need your AC or furnace repaired in the wintertime, it might be better to have your HVAC system undergo regular maintenance ahead of time. When is air conditioning repair cost the lowest? As a rule of thumb, when it comes to AC repair and servicing in Scottsdale, it’s best to avoid the times of the year when these services are most in demand. Naturally, these things are usually not up to you as they don’t exactly follow a strict, predictable schedule. Still, it’s worth noting that these services are typically most affordable between October and December. Homeowners can expect to pay between several hundred and several thousand dollars for a new central air conditioning system. This surprisingly vast price range is mainly due to the possible differences in the cost of installing the system and the cost of the equipment itself. Consider that installation and equipment could include the ductwork, which requires a lot of work and caution in its own right. Misfortunes never come singly, or, to put it in a more AC-specific context, having a broken AC means you’ll have several problems to deal with at the same time. One such problem is living in Scottsdale, Arizona, a town in which the sun sure tends to turn up the heat. If the temperature in your home is unbearable and your AC is letting you down, you know whom to turn to! Hughes Air is all you need to solve them and it needn’t cost a fortune! We’ll make sure our best technicians, who are also certified by NATE, are on it, so you’ll have your AC up and running in next to no time. Put your AC in their competent hands and your trust in Hughes Air! We guarantee you’ll get the best possible service in the minimum amount of time. How Do I Repair My AC?